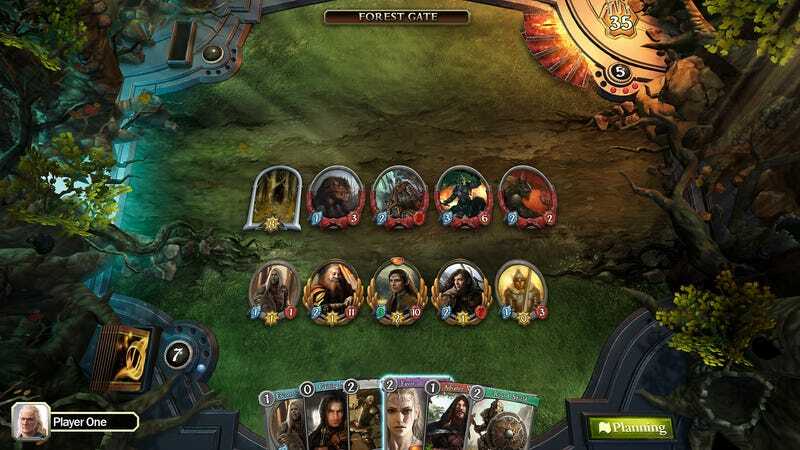 I've been playing the Lord of the Rings card game for years now, so it's super exciting to see the experience being ported to the computer, where there will be music and special effects and an absence of incompetent human teammates. 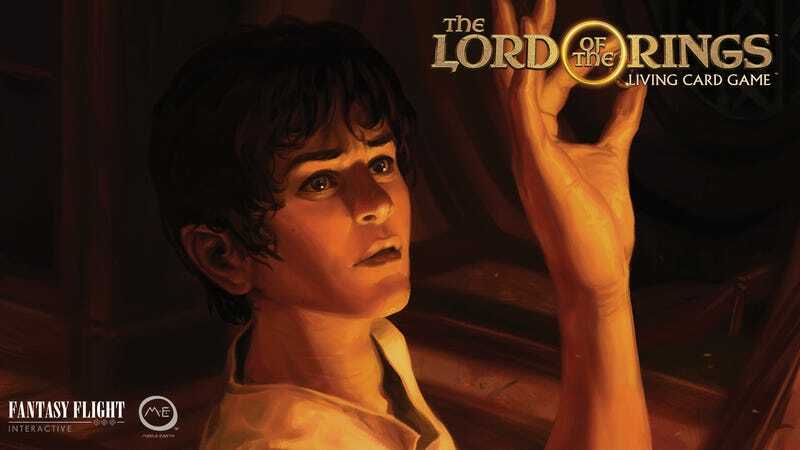 First released in 2011, Fantasy Flight's Lord of the Rings Living Card Game (not to be confused with Decipher's TCG) let you either play solo or in teams of up to four people, choosing a small fellowship of heroes from the books and then working your way through quests that involve visiting locations and fighting a whole lot of bad guys. 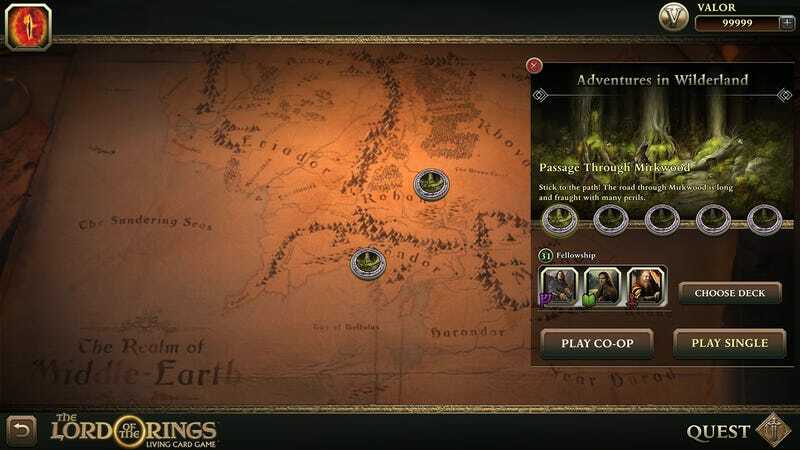 Asmodee Digital's upcoming adaptation is essentially the same game (a few things have been simplified, but it's mostly the same deal), just...on a screen, with the multimedia bonuses that affords. You can still play solo or on a team, you still use cards, and they're even re-using the same card art, which is fine, because it's pretty great. 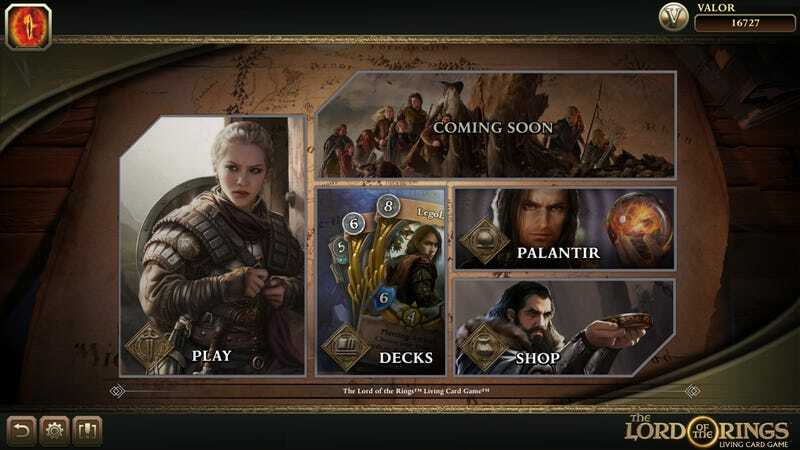 Because it's a LCG, you won't need to worry about endlessly buying random packs of cards; this digital version is going to be sold the same as the physical one, with players able to buy a large core set of cards/adventures, then buy additional ones down the line, knowing exactly what card they're getting when they pay for it. 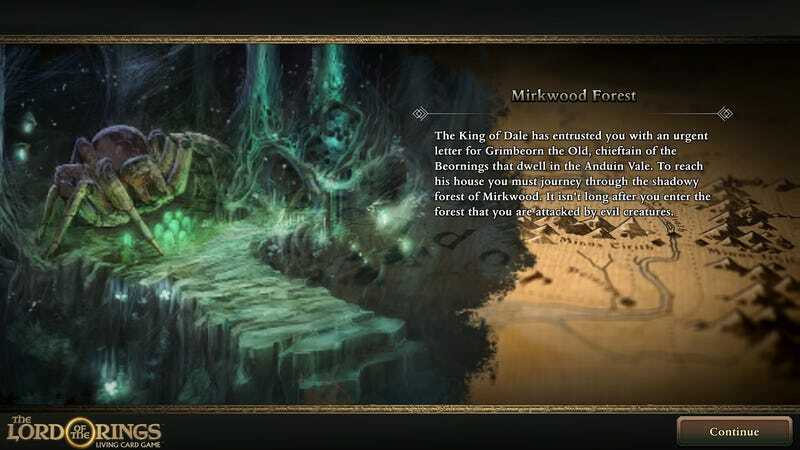 It will be out on Steam in 2018, with a singleplayer-only early access period opening up in the next few months. 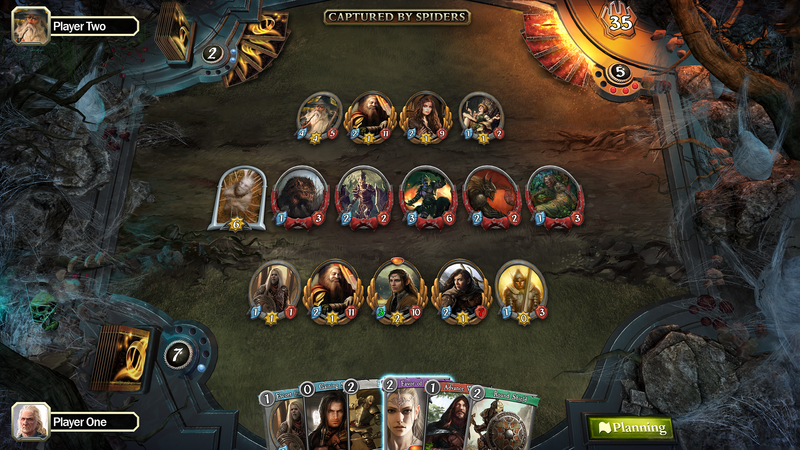 That screenshot makes it look like a singe-player(/co-op) campaign-based Hearthstone. ...Which I'm all for, really. I know English can be stylised, but the American use of real (headline) instead of 'really' is so pervasive that some just don't know how to use it correctly now, or simply don't care enough to do so. Do companies know you can make games other than Hearthstone/ Overwatch clones? If you cant see the obvious cloning from hearthstone from that screenshot above alone you are clearly blind and i have no idea how you typed your comment.